Easter Sunday is right around the corner, and it’s time to grab some dress clothes for your boys! I’m rounding up a bunch of adorable Easter outfits for boys, from suits to plaid shirts to bow ties! Everyone says dressing girls is more fun, but dressing up little boys, especially for dressy holidays like Easter and Christmas is just really fun. 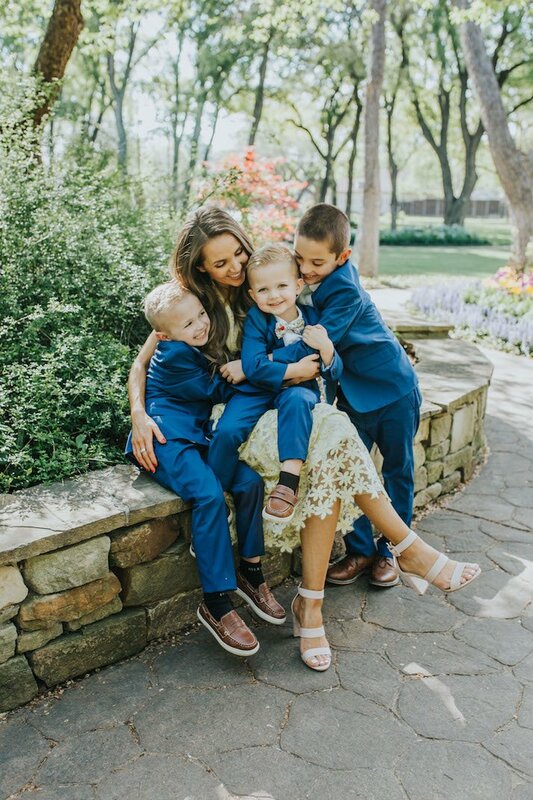 Easter Sunday is right around the corner, so I’m sharing a few shopping options to help you find Easter outfits for your boys. Our very favorite suits are THESE ONES FROM APPAMAN, and we just got some new matching ones for all the boys for Easter. Their suits are such good, slim, European cuts, and they last forever. We’ve had three sets over the last four years and they are all in almost perfect condition, even though they wear them every week to church! I also put them in their new DRESS SHOES RACK ROOM SHOES, and some adorable TIES FROM BOON TIES. I’ve rounded up a bunch of adorable Easter outfits ideas for boys. Oh my gosh!!!! Congratulations! I’m a long-time lurking and this is my first comment, but i just had to say i’m so excited and cannot wait to see the line!